Being a mum of three, I have dealt with my fair share of public tantrums, I have battled wild, unrestrainable behaviour from these sweet-looking beings, I have come to realise that motherhood throws you more curveballs than you can ever count and nothing ever goes as planned. Thankfully, it seems like most of us mums seem to know how this feels and knowing that we are not alone on this boat gives us the strength and courage to go on. One thing I've always reminded myself when it comes to motherhood is - never judge another parent, not a dear friend who just became a new mum, not an acquaintance whose kids are behaving like terrors, and definitely not a stranger on the street who might just be having a really bad day. The truth is, no mum is ever perfect. Be it working mums, stay-at-home mums or work from home mums, we are all just trying to be the best that we can be under our own unique circumstance and no parenting philosophy should be deemed as more superior or more effective than another. There is a topic I've wanted to talk about for a long time but didn't quite know how to approach it so it has been sitting in my drafts all this while. It's about how I emphasize that mealtimes are for family bonding and how I try to make it a time when the family not only sits and eats together, but we talk, we laugh, we learn and most importantly, we bond. 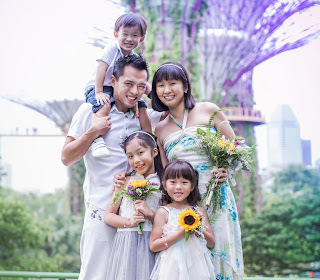 You see, we dine out quite often and there are some scenarios the kids and I witnessed which are etched so deeply in my mind that I keep reminding myself that this is not how I want our family to be. I'm not meaning to say if it's good or bad, healthy or unhealthy, but I am saying that this is not the path I wish to take when it comes to our mealtimes. 1) We were at a Chinese restaurant celebrating my mil's birthday. Seated at the next round table beside us was a family made up of grandparents, mums, dads, and a couple of teens and kids. Out of 10 of them, 8 were using their phones or tablets. It wasn't just for a brief while, but a considerable period of time during that reunion meal. Guess who were the ones without? Well, the grandparents. 2) The kids and I were eating zi char at a coffeeshop in our neighbourhood. I'm usually so occupied with trying to feed the toddler and nag at the elder ones to eat their food while gulping down a few mouths of my own food that I don't really have time to observe other diners around me. But this time, there was this mother-and-son pair seated beside us that caught our attention. Not because of what they were saying, but because of what they were not. The son, a teenager, had his headphones on the whole time during that meal and thus didn't speak a single word to his mum. When we finally heard him speak, it was to say "I'm done" and he proceeded to leave the table, leaving the mum to finish up her food before she left too. 3) We often see this pair of elderly with their granddaughter at this food court that we go regularly. From the looks, built and the uniform, the girl looks to be in kindergarten and around 5-6 years of age. Perhaps it's not so bad that she is constantly on her iPad throughout the meal, swiping across the screens and selecting videos to play on YouTube, what affected me more was how the granddad would feed her every mouth of her food, till the very last drop, while she just uses her hands to control the tablet. There are many more cases that we've come across but these were the ones that made a deeper impact in my mind. You know, I can really understand if parents give the kids the phone or tablets for a while, for instance when they go and buy food, when the kids have finished eating or if the parents have something urgent to discuss. By all means, go ahead. Or if it's been just a really tiring or terrible day and you need to have some quiet time to eat your food, I get it too when you turn to the electronic babysitters for help. But to make it a habit throughout mealtimes, to the extent that the family interacts less and less with one another but instead more and more with the devices, that is a no-no for me. That is why, as best as I can, we ban all phones and TVs (we don't have iPads so that is no issue for now) whenever it is time to have a meal together. It's not really a hard and fast rule because sometimes the hubby needs to answer to his boss urgently, sometimes there is a really nice show on TV that we would like to watch, and sometimes I whip out my phone to take videos of the kids and their silly antics. Nonetheless, for most of the time at least, we are device-free during mealtimes. So what do we do when we eat? Be it during homecooked meals or when we eat out, we do the same - we talk! Well, we try not to have food in our mouths when we do so but we always chat as we eat. A simple way to start is to ask the kids about their day, what they did in school, any interesting incident that happened to them or their friends and so on. I would also share with them about my day, what I did with the brother in the morning, any plans for the rest of the day or any errands to run so they could anticipate what to do next. At times, we would also talk about the headline news or community events and try to keep up with what's happening outside of our household. They also like to ask about family history, science and logic, jokes and riddles and basically just anything under the sun. The amazing thing is most of the time, I don't really have to prompt much because they always have so much to share! Yup, it's usually stories from their schools or about their friends, a movie we just watched, or a memory that we shared and they can talk about it for the longest time (and I end up having to nag at them to remember to eat their food too, lol). Still, I love hearing all their stories and it's what makes me understand them more, be aware of their emotions and stay updated on their everyday happenings too. I seriously can't think of anything bad about device-free meals and it's surely the way I wish to keep things for now. Habits need to be cultivated and I'm hoping that by keeping this up and instilling it in our family culture, the kids will grow up knowing that this is the way it should be when we eat at meals - to give the family your undivided attention, to make them feel valued and appreciated, to remind yourself of your priorities in life and the need to put first things first. 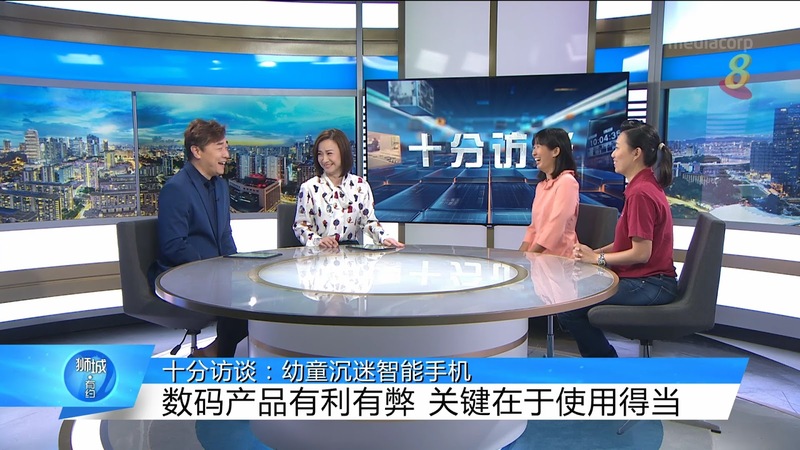 Talking about phones and technology, for those of you who missed it, I went on a live interview with Guo Liang and Mei Lan on Channel 8's 狮城有约 Hello Singapore. 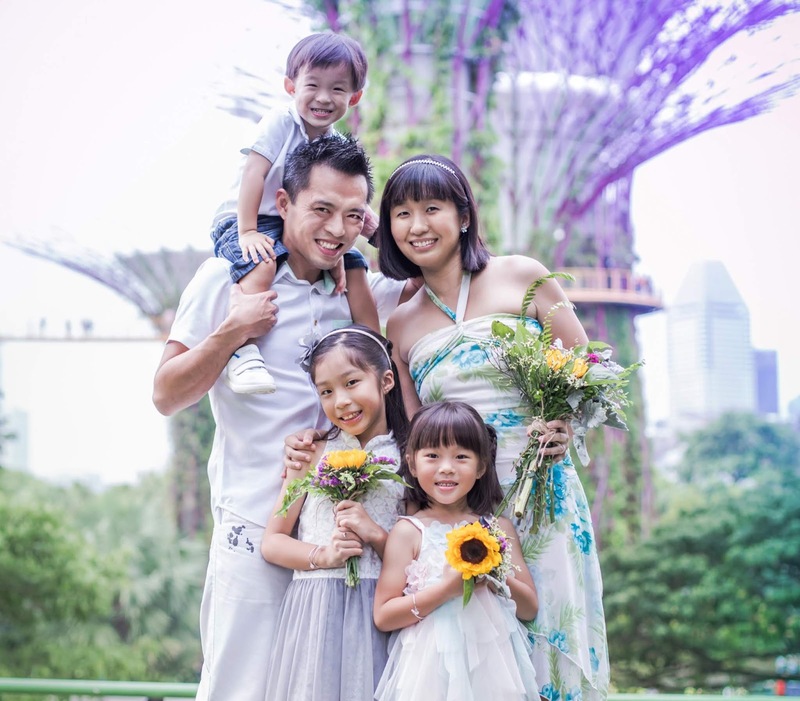 I wouldn't have travelled across the island to Mediacorp with three kids in tow (thanks to the staff for helping to keep an eye on them during my recording) if it wasn't for a topic that was close to my heart. Yup, we don't get paid for going on such interviews even though they do reimburse our travel expenses. It's really about having the interest and passion to share on the topic and this was one that I knew I couldn't bring myself to reject. It would probably take me another lengthy blog post to explain why my beliefs are anchored this way and a good part of it was due to the fact that I gave birth in a foreign country and witnessed the differences in culture when it comes to kids and technology. To be clear, I'm not against technology (hello, family blogger here!) but I do think it is imperative that as parents, we learn to embrace it and wield this double-edged sword in order to forge, not destroy, family bonds. To watch the full interview which is conducted in Mandarin (是的，讲华文哦), go here.